The Russell W. Peterson Urban Wildlife Refuge and DuPont Environmental Education Center located at the Wilmington Riverfront are happy to offer this opportunity to become part of the Riverfront History forever with your own personalized tribute brick paver. 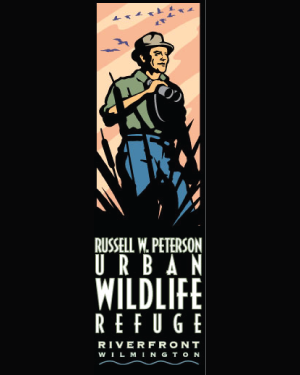 Your personalized brick paver will be placed around Peterson Plaza at the main entrance to the Urban Wildlife Refuge and will help support the ongoing operation of the DuPont Environmental Education Center at the Russell W. Peterson Urban Wildlife Refuge. Take advantage of the many ways to tribute your brick paver: memorialize afamily member, pay tribute to a friend or colleague, recognize a Wilmington family or pay tribute to a spouse or children. Each brick paver cost is $250 and will forever be placed around Peterson Plaza. A portion of your paver is tax-deductible and you will receive acknowledgement for tax purposes. Brick Paver size is: 8”x4”x2.25”. To order a brick paver, please call the Riverfront Development Corporation of Delaware (302) 425-4890 ext.109 or use the form below to make a secure purchase via PayPal. Each line has a maximum or 16 characters.